The decision to speak with an attorney is one that isn’t always easy to make. 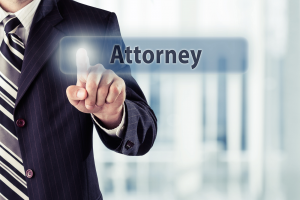 Many people go back in forth in their minds, wondering if an attorney is truly able to help them. Further, given that the legal field is so vast, there are numerous sub-specialties that many attorneys choose to focus on. This only complicates the process of considering speaking with an attorney. Employment law is considered a legal specialty, but even employment law itself is quite broad. If you have an employment-related legal issue that you have questions about, finding the right Phoenix Employment Law Attorney for your particular case is essential to ensuring you are receiving the proper legal representation. Christopher Ariano & Ryan Reppucci are the founding members of the Phoenix-based law firm of My AZ Legal Team, PLLC. While Chris and Ryan do have an office in Phoenix, they also provide a wide variety of legal services to individuals from all over the state of Arizona. Both Chris and Ryan have spent the bulk of their careers working together to meet the needs of Arizona residents. Chris is originally from the Chicagoland area, and Ryan was born and raised in the great state of Arizona. While Chris is not an Arizona native, he has devoted his time, energy, and career to making Arizona his true home. Chris and Ryan believe having a full-service law firm has helped them reach a wider spectrum of Arizona clients. Further, many clients have sought legal representation from My AZ Legal Team, PLLC for more than one legal matter. This is very convenient for clients who have already spent the time getting to know Chris and Ryan. In addition to employment law, Chris and Ryan provide legal services in the areas of bankruptcy, family law, criminal law, and immigration. It is important to keep in mind each of these practice areas are generally broad simply because no two clients are likely to have the same exact case. To have a better understanding of the general scope of each of these employment law areas, please view our individual practice area pages. When it comes to employment law, there are numerous issues that may arise in the workplace. In fact, many workplace violations occur without anyone’s knowledge, and many employees are harmed by such violations. Regardless of the nature and severity of your employment-related legal matter, a seasoned Phoenix Employment Law Attorney can address your situation and provide you with the guidance and support you need to seek resolution of the matter. The Phoenix Employment Law Attorneys of My AZ Legal Team, PLLC have helped many Phoenix clients address and overcome employment-related matters. My AZ Legal Team, PLLC, has received an “A” rating from the Better Business Bureau as well as multiple positive online reviews. With a reputation for providing superior customer service and well-rounded legal representation, our Phoenix Employment Law Attorneys place an emphasis on protecting each client’s rights and interests. If you would like to schedule an initial consultation to speak with one of our Phoenix Employment Law Attorneys, contact My AZ Legal Team, PLLC today by calling (602) 666-0050. Our attorneys are available 24/7 to answer your questions and address your concerns.